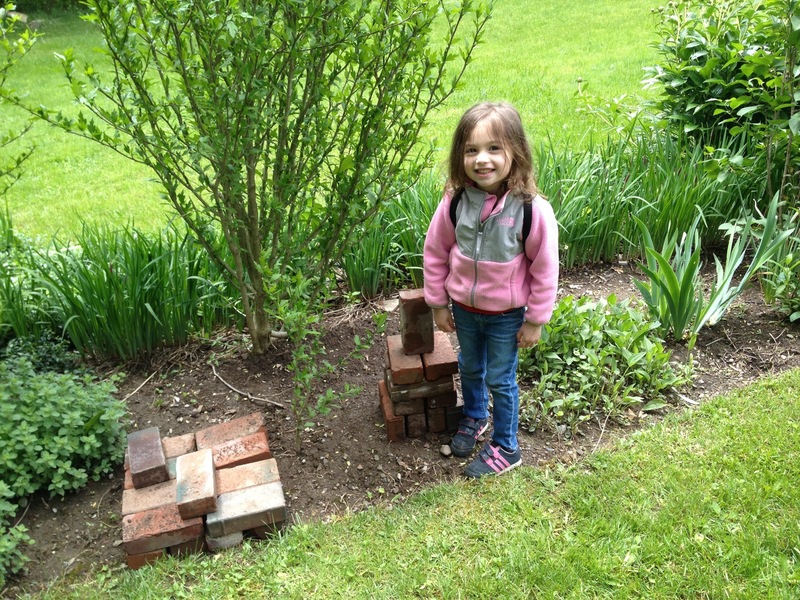 Last month my little one and I built our own Fire Pit. There’s nothing like a nice fire in the evening hours to wind down long summer days. Whether you enjoy a good S’mores or a glass of wine the crackling of burning wood is sure to relax. So I thought with The July 4th weekend coming up I’d write out a step-by-step on how we built it. First let me start by saying that there are thousands of ways to build your own fire pit. The instruction I’ll lay out below just happens to be a fast, easy, and most importantly inexpensive way to do it. I wanted an old, rustic, “cottagey” look, and I felt this served me the best. “old”, used brick I collected most of mine from a landscape site. You can see here that the bricks are pretty beat up!! 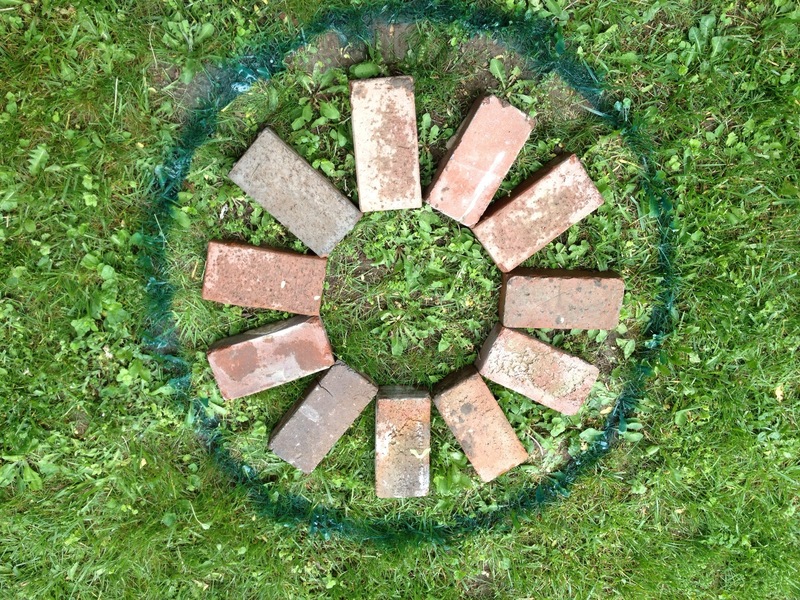 Lay your bricks out in the pattern that you want. I happened to use paint to trace the edge. I figured I was going to dig it away anyway so no harm done. You can also use chalk or another “marker if you want to be a bit more environmental. 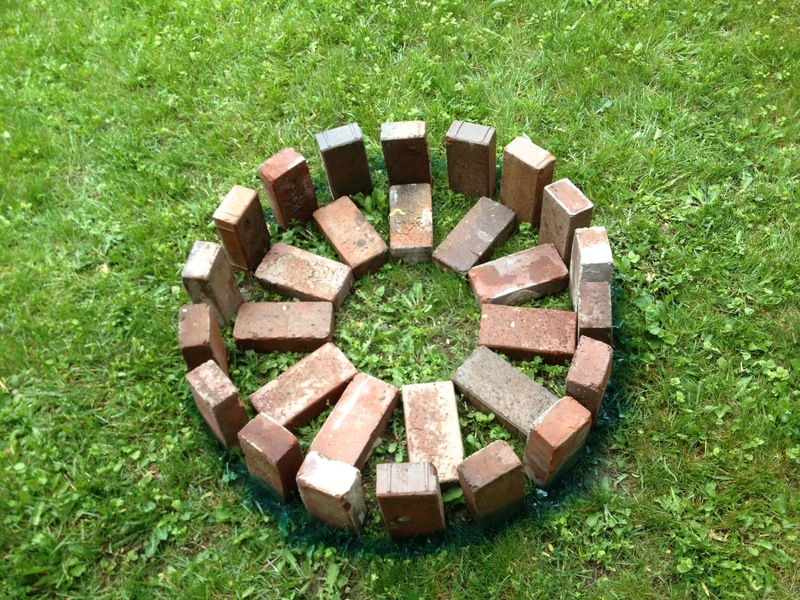 You should now have a nice trace to go by for the diameter of your fire pit. Step 3: The Fun Part DIG!! This is where the work comes in! Your depth depends on the pattern and/or configuration of the brick in your fire pit mine happened to be roughly 14” deep. 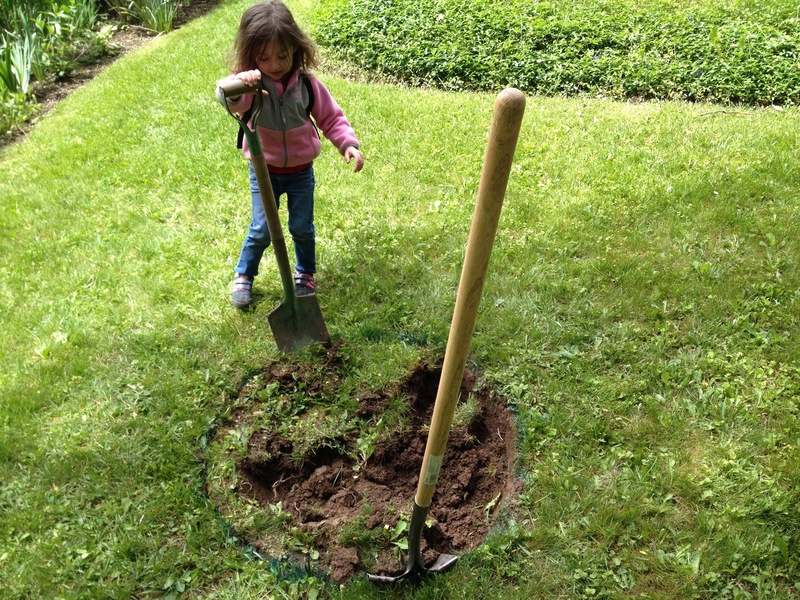 No Audriana did not do most of the digging!! Simply place your brick back into the configuration you started with, and fill the gaps with whatever landscape stone you choose. I chose tumbled gravel because I love the look of it. The stone will help keep your walls and floor in place as well. 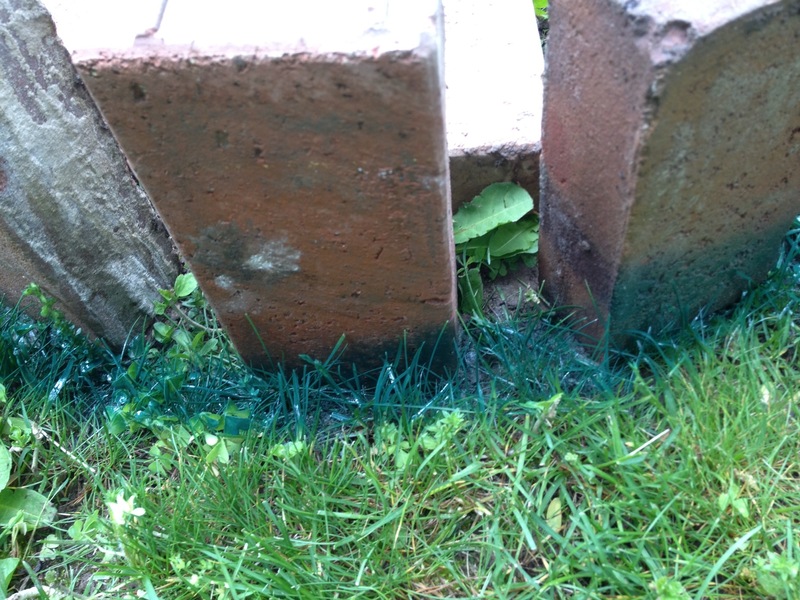 If you experience freezing winters you may want to “backfill” with concrete, or better yet quickrete. I didn’t use quickrete because I thought I might want to move the pit at some point. 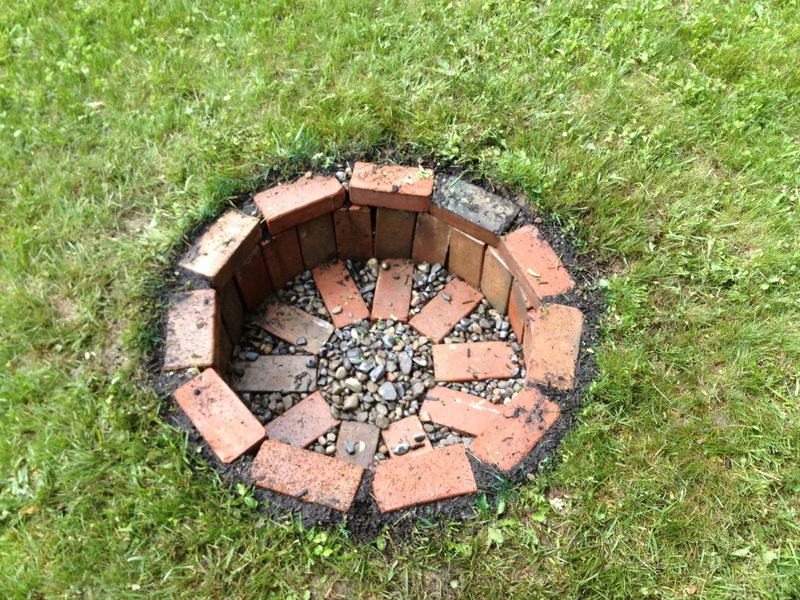 This entry was posted in DIY, Homeowner, Landscaping, Uncategorized and tagged backyard fire pit, Brick fire pit, Business, Construction and Maintenance, DIY fire pit, Do it yourself, firepit, garden applications, Garden hose, garden water hose, gardening hose, kink free garden hose, landscaping equipment, Materials and Supplies, Step-by-step fire pit, the perfect garden hose, TUFF GUARD The Perfect Garden Hose, tuffguardhose, Twitter, USMLE Step 1. Bookmark the permalink.